Phoenix Orthodontic Practice welcomes referrals for NHS Orthodontic treatment for qualifying people under the age of 18 years old. For over 18's and people that do not qualify for free treatment we only carryout treatment on a private basis. We are a welcoming team treating patients in a warm and friendly environment. We are dedicated to maintaining the highest standards and accommodating individual needs. All of our Clinicians and Dental Care Professionals have been enhanced CRB checked and are registered with the General Dental Council. If you are considering referring to us here are a few reasons why you should. Return any radiographs, photographs or study models that you provide to assist us in treatment planning. Always communicate with you and keep you fully updated and informed of your patients progress. Always advise your patients to continue seeing you for their regular dental appointments throughout the course of their Orthodontic treatment. 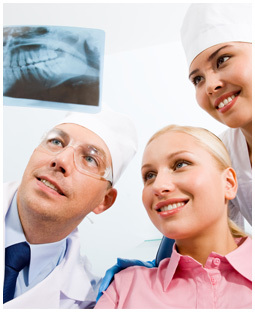 Discharge your patient back to you at the end of Orthodontic treatment for continuing care. Our NHS Orthodontists can be seen by dentist referral only. To make referring easy you can access the referral form below or if you prefer we can post out a referral pack for your practice to use. Once completed you can post, fax or email us the referral form, or alternatively the form can be handed directly to the patient/carer bring in to us. On receipt of the referral form an appointment for a consultation with the Orthodontist will be organised. We aim to see the patient within 6 weeks for their initial consultation. On the day of the consultation the Orthodontist will assess whether or not the person qualifies for NHS Orthodontic treatment. 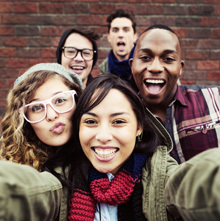 NHS Orthodontic treatment is free for qualifying people under the age of 18 with a clear clinical need for treatment. 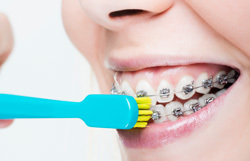 A treatment plan will be put together by the Orthodontist who will discuss the options available, whether any teeth will need to be removed and answer any questions about what happens next. If the patient does not qualify for free NHS Orthodontic treatment they may choose to have treatment on a private basis. Our Orthodontists will discuss this option with the patient/parent/carer including fees. Anyone over 18 or under 18's who do not qualify for NHS Orthodontic treatment but would like to discuss private orthodontic treatment can simply call us to make a consultation appointment on a private basis. A referral is not necessary however if you are a dentist wishing to refer please use the Referral Form. Fees apply for all private treatment.